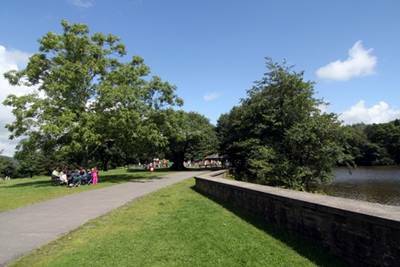 Gnoll Estate Country Park was voted as the Best Picnic spot in Wales 2010 by the Warburtons National Picnic Awards. The wide open spaces in Gnoll Estate Country Park provide a perfect setting for picnics. There is a vast amount of space for all to enjoy whilst being conviently located near the visitor Centre which provides all amenities. There are a number of picnic benches scattered throughout the park to use.